This year I’m making a conscious effort to make morning pages part of my everyday routine and so far, it’s having a huge and positive impact on my life. Journaling everyday is allowing me to clear my mind and get rid of any negative thoughts and feelings building up inside. It gives me a clear sense of direction and allows my mind to feel less messy. I love giving myself 15 to 30 minutes every morning to journal and write my morning pages, it’s my dedicated time for self-reflection. If you haven’t heard of morning pages before, they are basically three pages of writing done every morning. The idea is to allow your pages to be messy as you write down anything and everything which you’re feeling and thinking. Doing this allows your mind to become a lot clearer and for you to be much more focused. When writing morning pages, don’t think too much about what to write, there’s no right or wrong here, just let your mind flow as you put pen to paper. If you’re not sure what to write on your morning page’s then you can always start with your to-do list this usually brings up your thoughts and feelings on what you need to get done. At the end of writing my morning pages I’ve got into the habit of writing out my daily affirmation. Some days I write out the same affirmation if I’m working towards a specific goal. While other days I write down an affirmation which resonates well with my morning pages and how I’m currently feeling. If you haven’t heard of affirmations before, they are positive statements which you repeat to yourself in a way to support your success. They can help you to develop a more positive perception of yourself and your life. 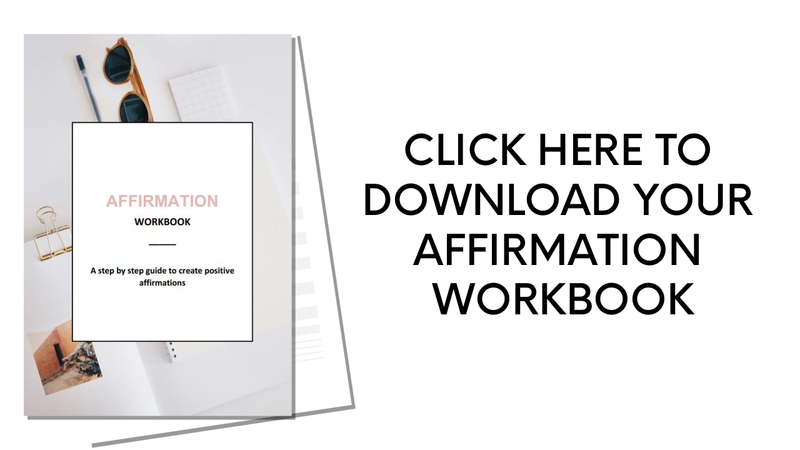 The repetition of affirmations will keep you motivated and focused on your goals. They can influence the way you think and behave. Think about what you tell yourself on a regular basis, is it mainly positive or negative? Affirmations can change obstructive behaviour and habits. They can help undo the damage caused by negative statements which we have we repeatedly heard or told ourselves in the past. Travel journal: Use a travel journal to write down the ideas you have regarding the places you would like to visit. One line a day: Make journaling easy by writing one line every day, of your thoughts and feelings. Junk journal: A junk journal helps rid any negative energy from your brain and onto paper. Gratitude journal: A gratitude journal is strictly for all the things that you are grateful for. Idea journal: An idea journal can serve as an opportunity for you to have a brain dump. Pregnancy journal: Write down your symptoms and how you’re feeling at different times of the day. Reading journal: As you read a book, write down your thoughts and the events that resonated with you deeply in the book. Fitness journal: Track your health and fitness journey. Journal any feelings of resistance and how you have overcome these feelings. Dream journal: Keeping a dream journal is helpful because it can serve as a tool to help you remember what your dreams were about. Journaling everyday will help to shape your life for the better, it will help you see things so much more clearly and appreciate everything you currently have as well as giving you a clear direction on your future and goals. I hope this has inspired you to give morning pages a try.